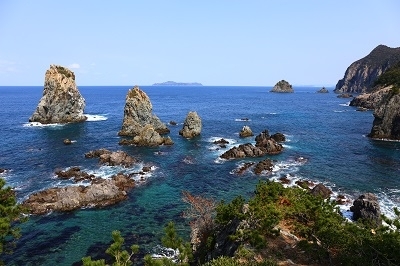 Omijima island, as known as "The Alps on the sea", is a representative view spot among whole Kita-Nagato Kaigan Quasi-National Park. 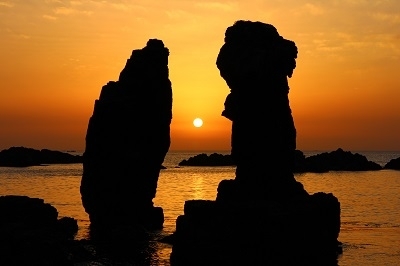 Three sides on north, east, and west got showered by the rough waves of Japan sea, the coasts are eroded, caves, stone pillars, rocks... endless dynamic scenery continues for 16km long. 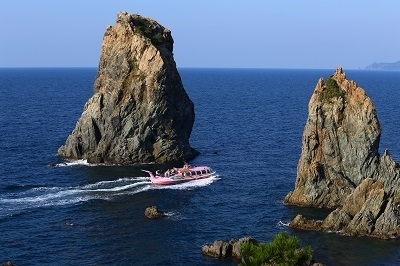 The view of the island can be enjoyed from cruising tour on the sea and walking path on the land. 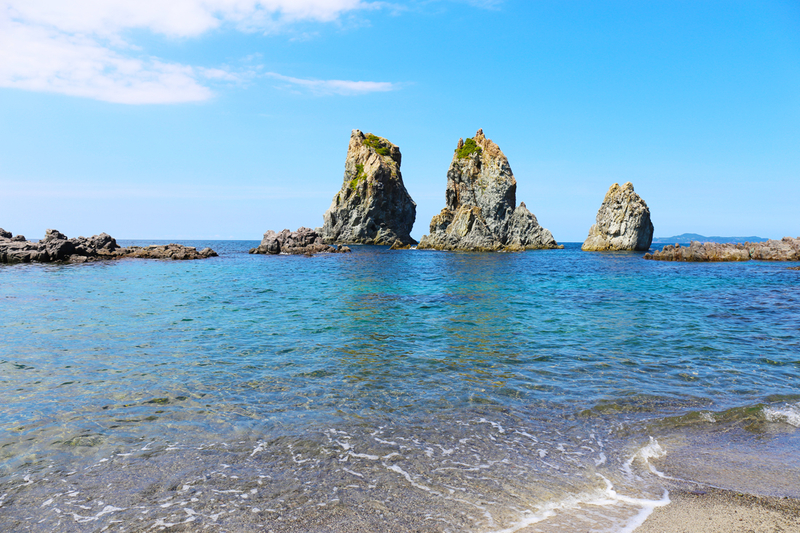 In addition, camping grounds and beach resorts are located in Chuo Shizugaura. 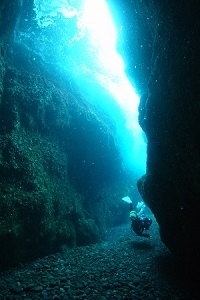 This place is also known as a diving spot due to the sea water in high transparency, colorful tropical fish living in caves and between various land shapes.